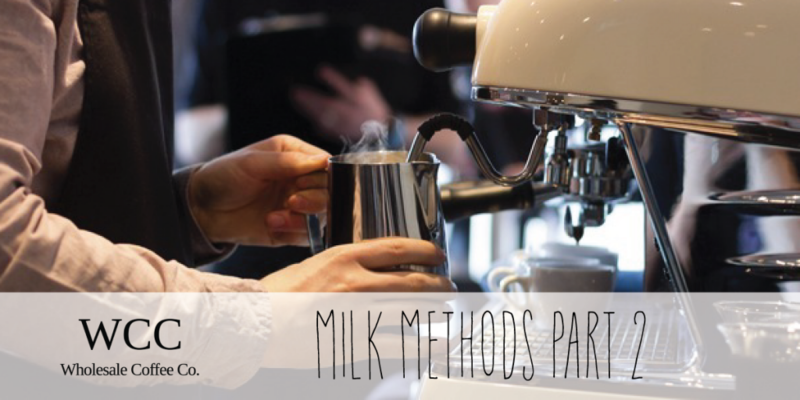 Milk Methods Demystified Pt. 2 | Wholesale Coffee Co. Welcome back to our handy hints and tips, following on from last week we will be talking more about ways to improve your milk methods. In this post we will cover the importance of juggling (and what that means) and a few quick tricks for pouring. Simply put milk juggling just means keeping your milk moving. Once milk has been steamed the foam and the milk will try to split a lot like oil and water. To make pouring easier and to get a better result it’s a good idea to try and keep the foam and milk combined. You do this by trying to make the milk fold over itself by sharply shaking the jug left to right. When done correctly this will leave you with silky smooth milk that looks a lot like wet paint.